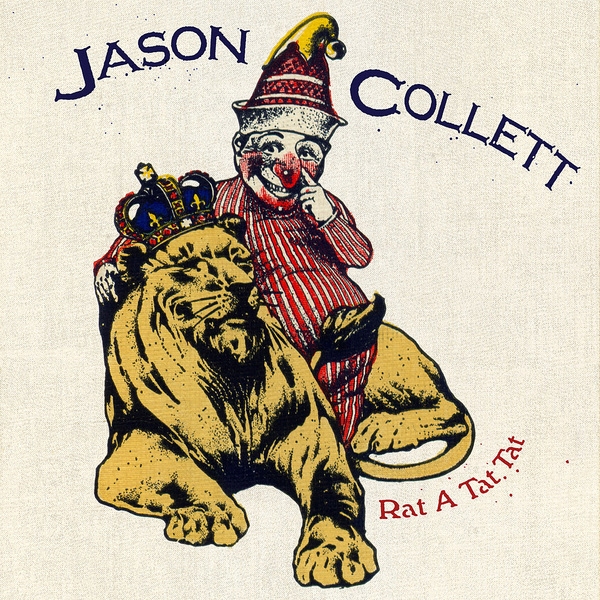 A brand new album from Toronto songwriter, Jason Collett: "Rat A Tat Tat is the follow up to his widely praised 2008 release, Here's To Being Here and is an achievement on many levels. The album attributes to, and trumpets the energy of an exciting and burgeoning Toronto creative arts scene of which Collett, highly regarded as a prolific songwriter and performer, finds himself at the very centre. Rat A Tat Tat shows Collett using the Canadian backdrop to further explore his roots as a national storyteller ("Lake Superior", "Winnipeg Winds", "High Summer"), and his knack for articulating the subtleties of human interactions and experiences ("Cold Blue Halo", "The Slowest Dance"). As well, he dives headfirst into the passions and struggles of relationships ("Rave On Sad Songs", "Love Is A Chain"). Rat A Tat Tat is a remarkable and honest example of a storyteller documenting and soundtracking his experiences and surroundings with distinct and precise ability. "